When spring arrives, many of us are thinking of spring cleaning and home improvement projects such as beautifying the property, painting inside and out, refurbishing outdoor living spaces, and more. But spring is also a good time for home maintenance. Here’s a spring home maintenance to-do list to make sure everything at your residence is in working order and ready for a long-awaited summer of recreation and leisure. 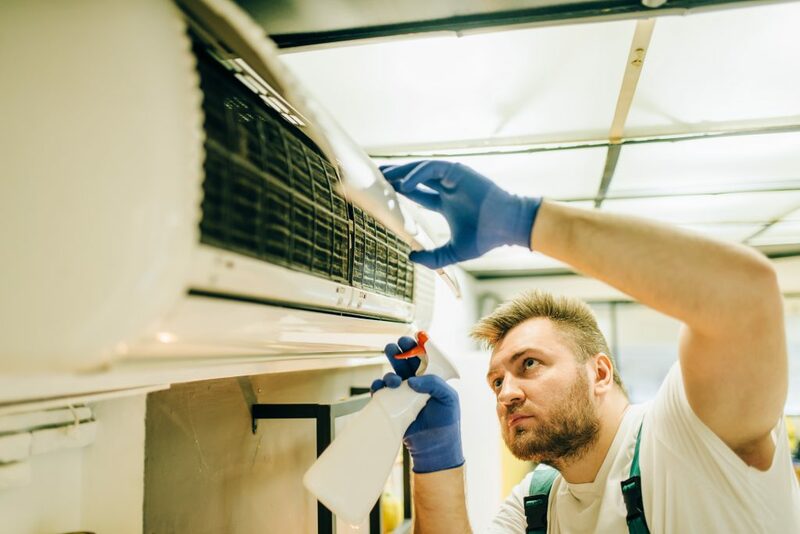 Check to see that your air conditioning system is functioning at its optimum level. You’d hate for that first 90-degree day to be upon you only to find out you have no way of cooling yourself off. That would make for a miserable domestic situation and several sleepless nights. Take stock of your windows and screens. Repair any tears now, check for mold, and look for leaks around wood trim and window frames. After a winter of roaring fires and hot toddies, you should evaluate the status of your chimney. It’s a good time to have a chimney sweep clean and service your fireplace, removing ash and soot and ensuring it’s working properly. Fire is a force to be reckoned with, and spring is the perfect time to deal with it. Clogged gutters aren’t just unsightly – they can lead to minor disasters including a leaky roof or water damage to both the inside and outside of your home. The maze of gutters and downspouts control the flow of rainwater, which essentially protects your roof, foundation, walls, and even your landscaping. Now’s the time to make sure your gutters are clear of leaves and rubbish. Give your wood deck a must-needed power wash to remove caked on dirt and reveal its true beauty underneath. Also, give it a quick safety inspection. Inspect for chips, nicks, and splinters, as well as wobbly rails and loose boards. Your deck is your second home throughout the warmer months – you want to make sure it’s ready for some summer fun. The bugs will soon get their invitation to your home and backyard, and they will be ready and willing to bite, annoy, and disgust you. The ants will move into the kitchen, mosquitoes settle into the brush, and ticks lie in waiting for unsuspecting pets and pants legs. It might be a wise idea to call in a pest control company to evacuate unwanted critters. If you’re unsure about the condition of your HVAC system, suspect you have moisture problems in your home, or think your chimney may be unsafe, call Branch Services today at 631.467.6600 to get on the calendar now for some expert assistance. We’ll send a home inspector to assess your situation and put you on the fast track to enjoying your home and outdoor living space.